We get a lot of requests about building houses out of containers. And for good reason. They can be a great building material for homes. They are green, durable, relatively easy to move, and standardized. They can be modified relatively easily to create an endless combination to create everything from the most basic cabin to high-end architectural feats. We get a lot of requests from people who are looking to create that perfect home and want a floor plan as a starting point. We do not offer that service as only an engineer or architect are really in the best position to create something that needs to be a safe, stable home. We recommend hiring your own architect or engineer to help design your home, to make sure that all of the electric and plumbing and other features are up to your local codes. That said, here is an article with some sample floor plans to at least get you thinking about a few things. Even if you do pick some of these plans, we strongly recommend working with a local engineer or architect to make sure that it conforms to your local codes. You would want to run any changes in the floor plan by them to ensure that your plans continue to be safe. Here is a floor plan from the linked article above. 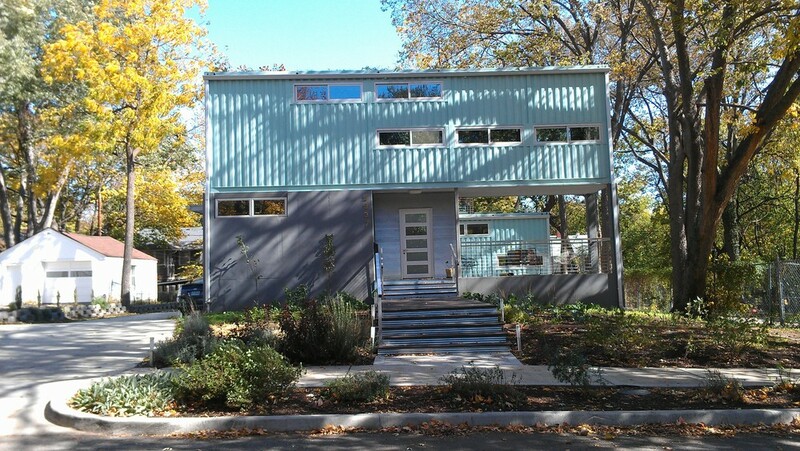 This house is designed by Adam Kalkin, an architect that uses containers in many of his projects. Click on the link above for some great ideas on containers. For more on a house that an architect built for himself, check out this link. His project is a great example of how even a simple design can be a more complicated project than it may seem at first blush. Also, how you finish off the container can play an enormous role in the cost of your project. Going with the most bare-bones interior still will add up as you will probably still want to have electricity and plumbing in your new home as well as insulation that is covered up by walls and some flooring. But it can also be as expensive as well. 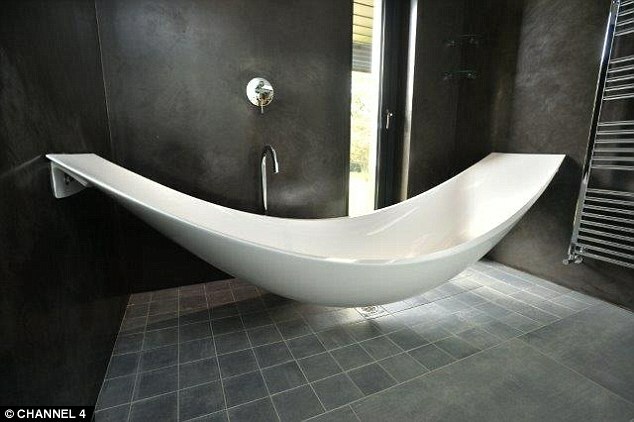 Check out the fancy bathtub in the link about the architect's home. The main thing to consider is safety. You can cut apart containers to make them into what you want, but keep in mind that you need to still keep the container stable. 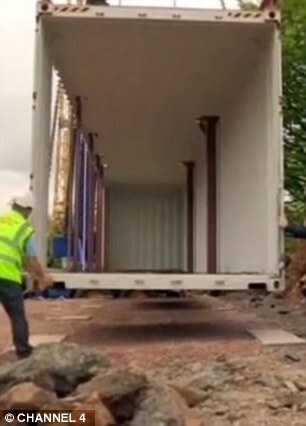 So if you take out a whole wall of a container, you will need to build in support for the roof somewhere else. Even keeping that in mind, there are endless possibilities in creating just the perfect container home for you. Newer:Container Barns Made EasyOlder:Is Your Hunting Container Ready for Hunting Season?